Sometimes you just have to get the heck out of Dodge. Which is why when I had the opportunity to join my friends Sarah and Max for an early spring birding trip to SE Arizona I jumped on it. At the last minute we booked plane tickets, a rental car, and an Airbnb in Patagonia and before I knew it, we were surrounded by beautiful southern U.S. desert. Our main target was an Elegant Trogon. 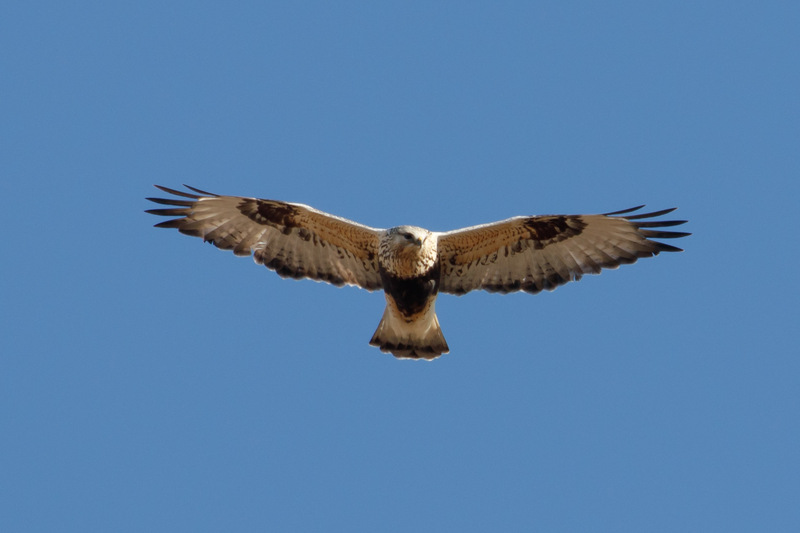 A single male had been seen regularly in Madera Canyon. 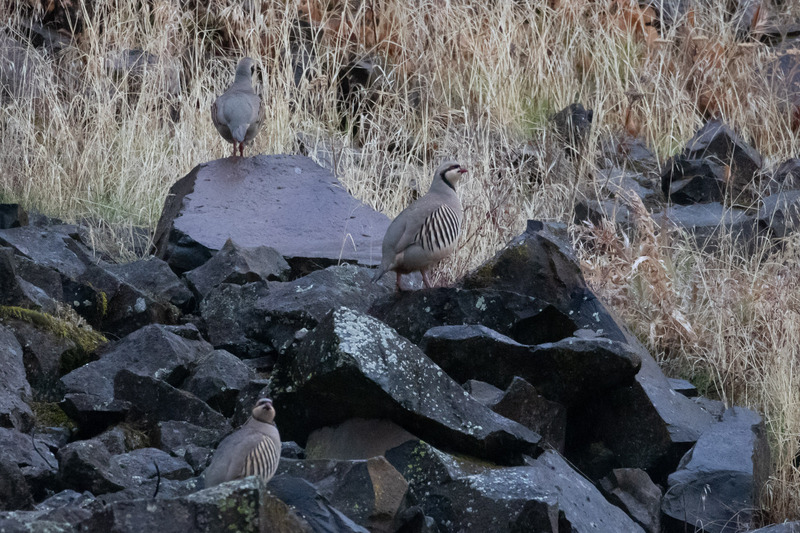 How hard could it be to find one bird in the canyon? (Pretty dang hard). But first we had to drive 2 1/2 hours from Phoenix to get there. Along the way we met Sarah and Max’s friend Jill at Kennedy Park for some Tucson urban birding. The target here was Bronzed Cowbird. But those didn’t come before we spent quality time with Vermilion Flycatchers. And before Sarah met her lifer Cactus Wren. And I met my lifer Gila Woodpecker. And before we stopped to touch the Saguaro. We passed the pond with Ruddy Ducks, coots, and Neotropic Cormorants. And Redheads that were so close they could (and probably would) eat out of our hands. Finally, just before we were set to leave a huge flock of blackbirds flew in mixed with grackles and, yes! – Bronzed Cowbirds! 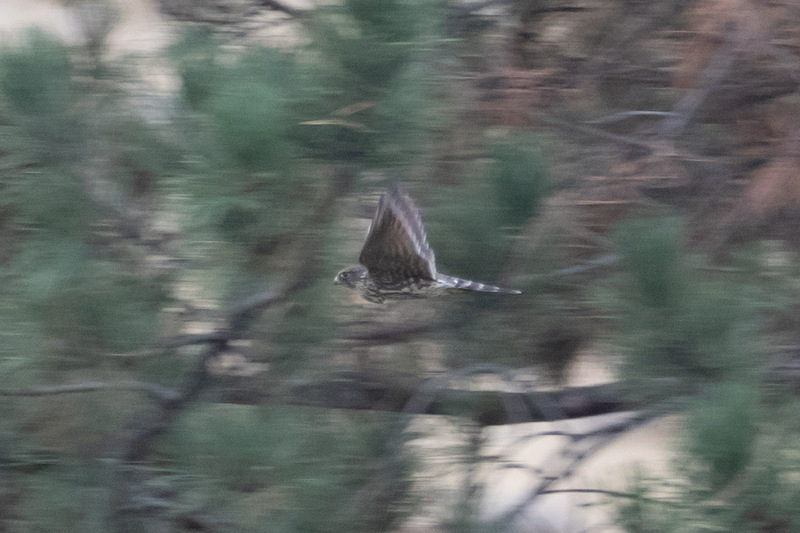 Sadly, the light was poor and as we moved closer for better looks of their beady red eyes a Cooper’s Hawk zoomed in and spooked the whole flock away. So instead here’s a better photo of a Bronzed Cowboy. We ran into a couple from Florida birding the area who gave us a tip about a Greater Pewee at another park just fifteen minutes away. This would be a lifer for all of us so we opted for the detour. We arrived and minutes after stepping out of the rental, and with the help of a friendly birder pointing up in the trees above us, there it was. Our first tri-lifer! 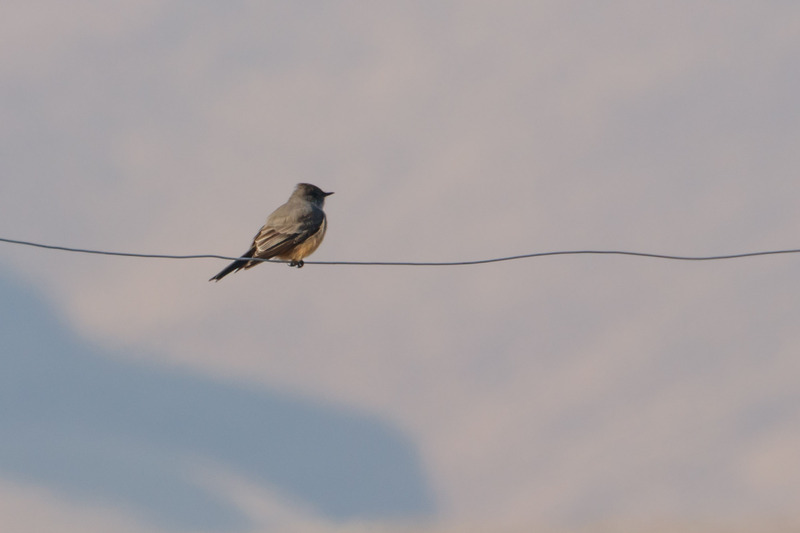 It’s hard to convey the size of that flycatcher but it is at least as big as Olive-sided. 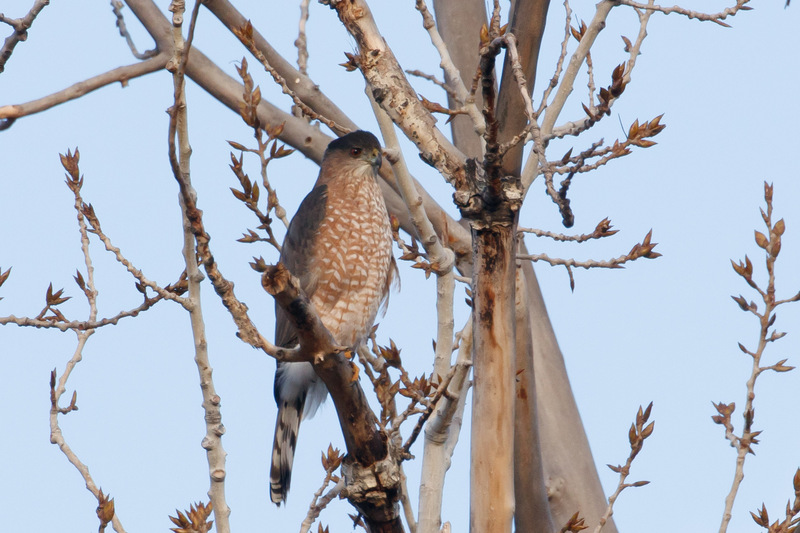 Looking around the park we noticed a Black-crowned Night Heron fly across the pond and then we saw why. A group of kids were feeding the herons! Luckily the kids got bored quickly leaving us to amuse ourselves. There was a mallard at this pond that had potential for Mexican Mallard but in this location and with my limited knowledge, for now it’s just a good looking duck. Giddy from looking at new birds we knew we had to pull ourselves away so we could get groceries, finish the hour long drive to the Patagonia Airbnb, and get some rest. 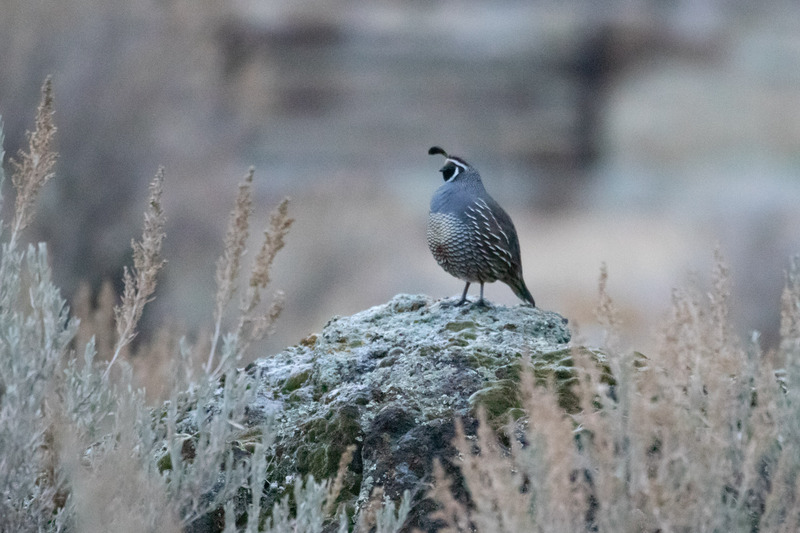 In the morning we were serenaded by a Greater Roadrunner on the hillside as we packed the car in excited anticipation for our first trogon attempt. Thanksgiving week I spent time with Tomas, called my family, and then I went birding. A Rusty Blackbird was reported on Thanksgiving day at McNary Wildlife Area (but I was just there!). This would be a lifer and a recent rusty stuck around the Bend area for a while so I thought this one would be easy. You think birding is easy? 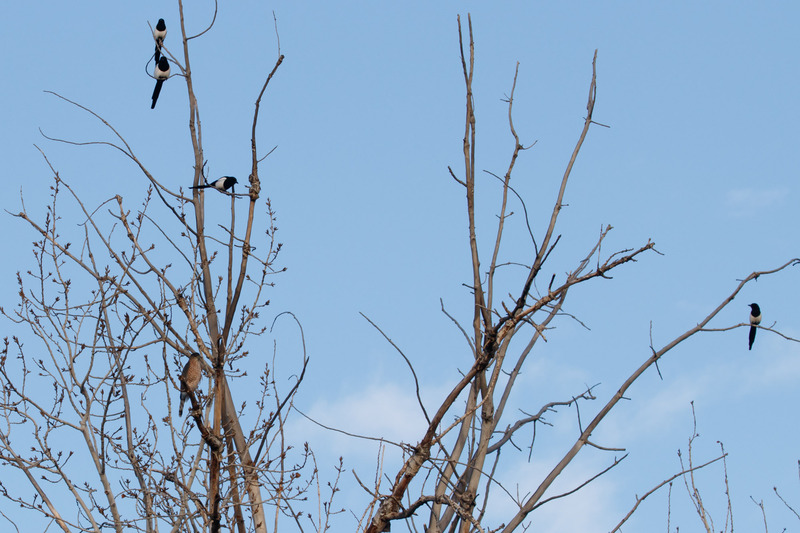 Black-billed Magpies can easily find Cooper’s Hawks. But I saw very few blackbirds. 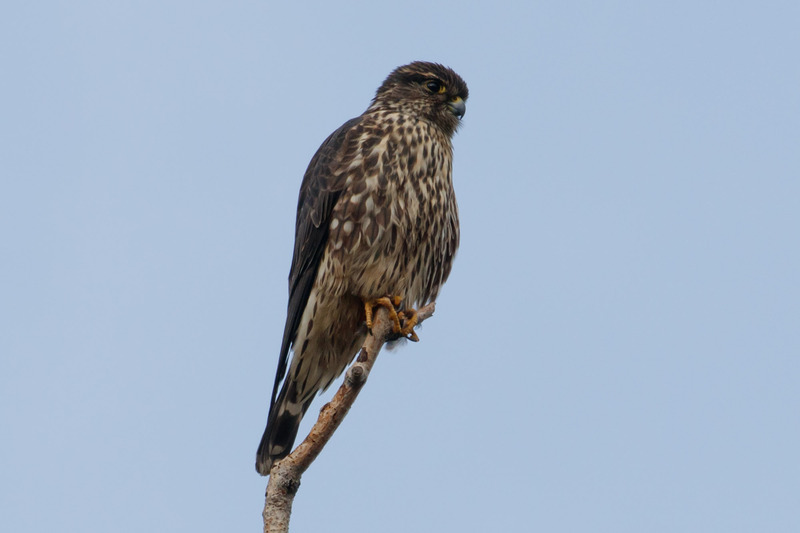 It could have been due to the Merlin. That was cool to see. 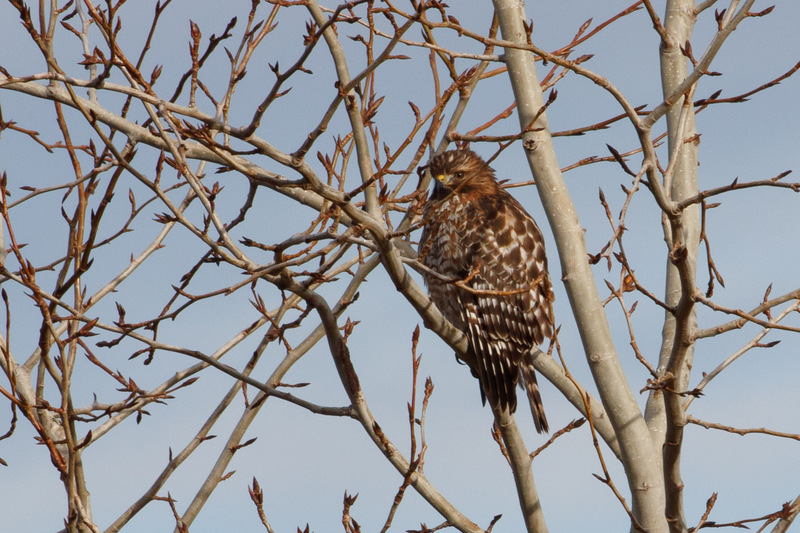 As was the Red-shouldered Hawk that appeared right before my eyes. This is a pretty rare sighting in this part of Oregon. 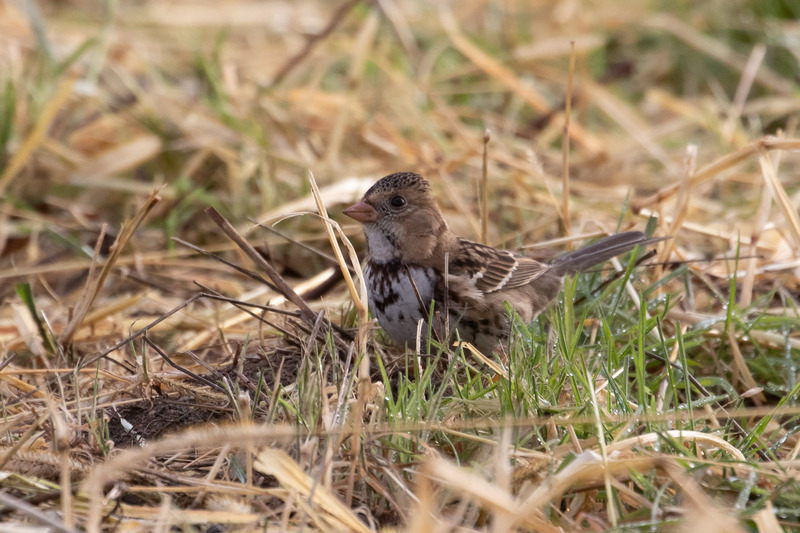 Another treat was finding a pair of Harris’s Sparrows! Unfortunately most of my photos of both together came out blurry, but they were a pretty cute. 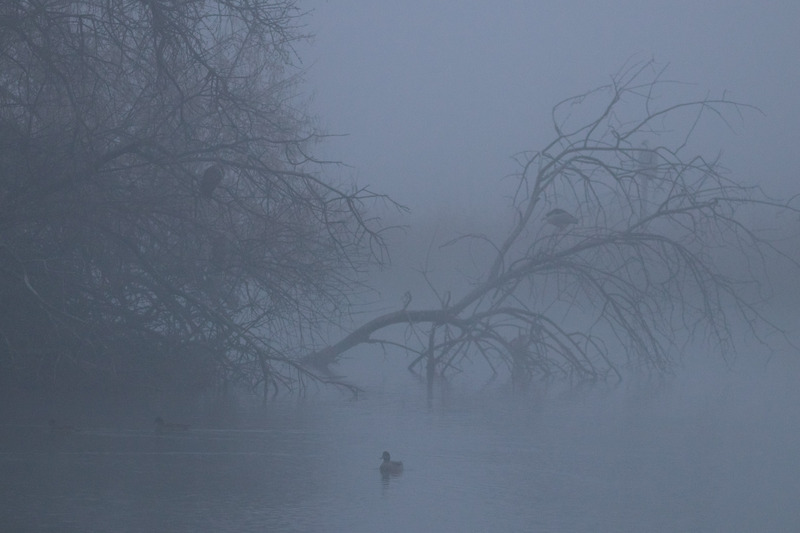 I finally got to see the Black-crowned Night Herons out of the fog. 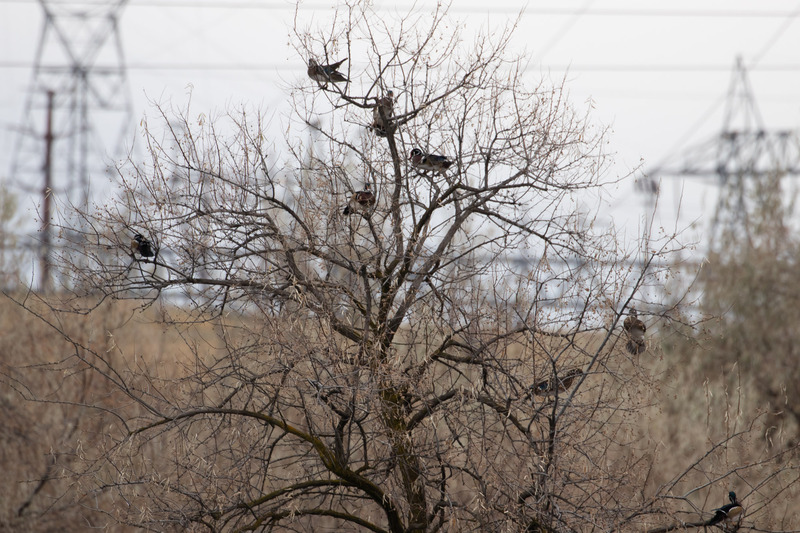 And in another tree I thought there were more herons but looking closer it was decorated with Wood Ducks! 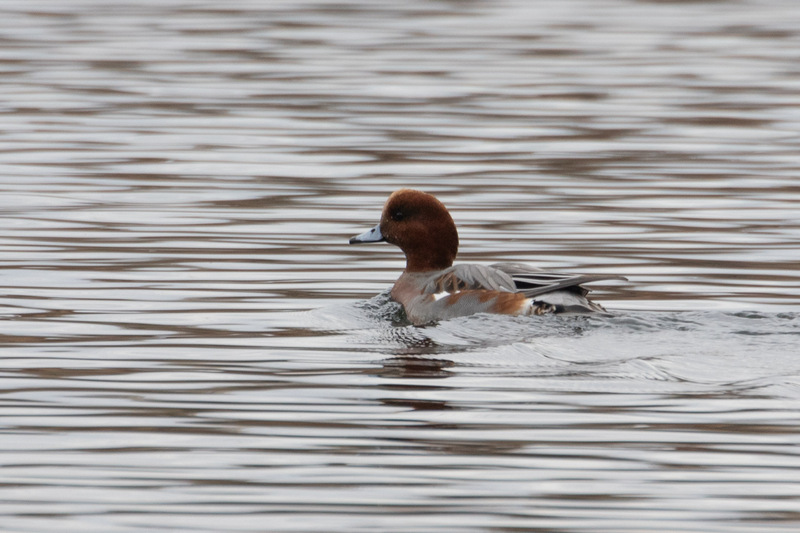 They weebled and wobbled on the thin branches while a Eurasian Wigeon swam by in the water below. 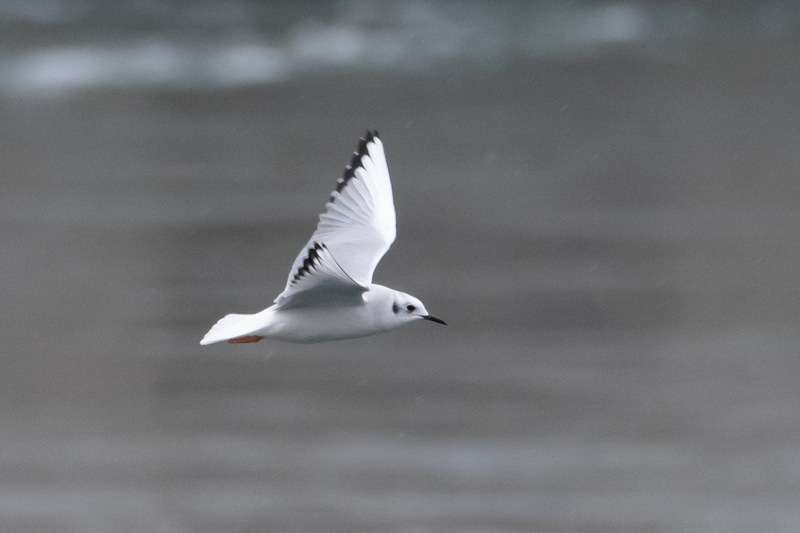 Down by the dam I picked out some Bonaparte’s Gulls flying over the river just as it started raining. 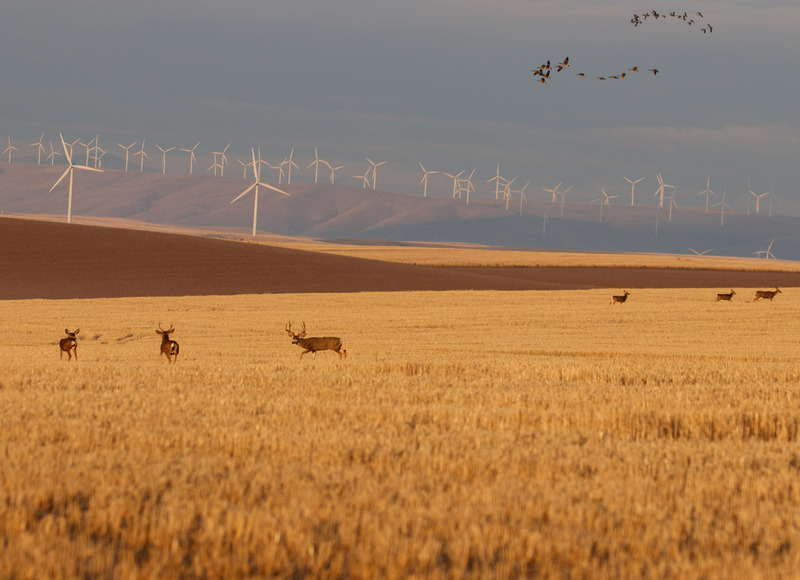 It was too bad I missed the blackbird but it was fun giving McNary Wildlife Area more attention. If only this great birding spot was a bit closer. 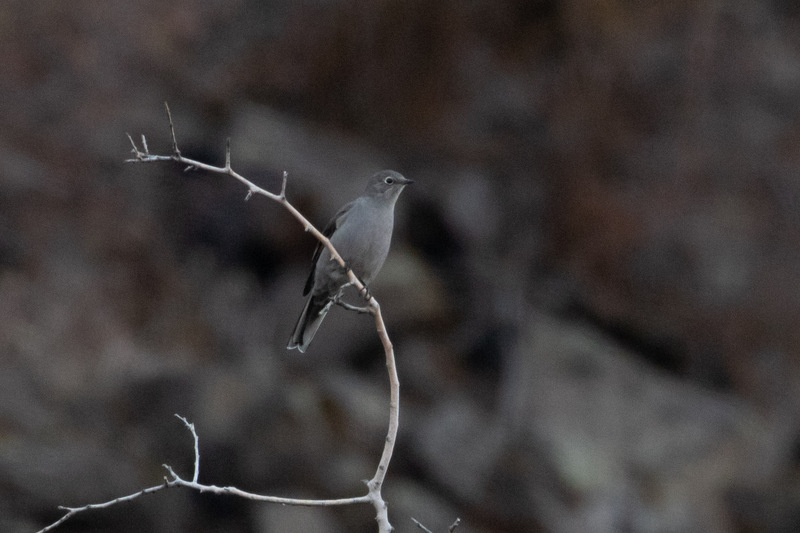 On the return trip home I stopped at Philippi Canyon and sat in the car watching a little Rock Wren hop around the rocks then I looked over to my right. 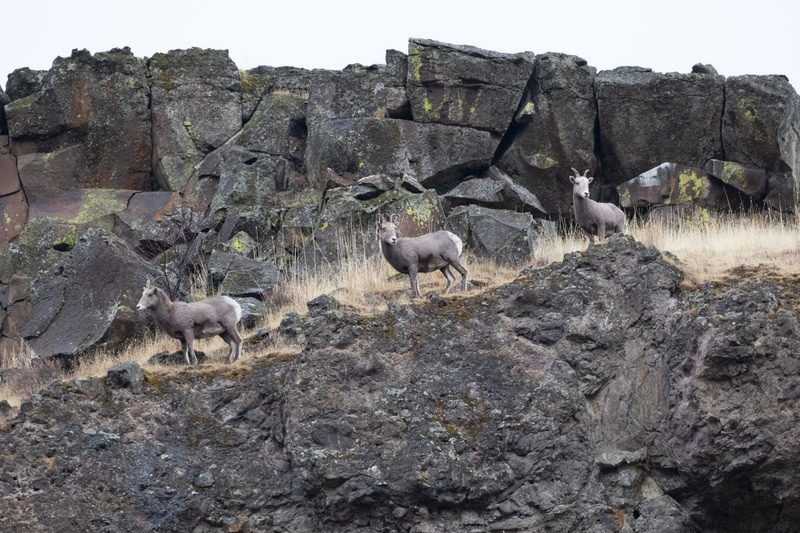 A group of Bighorn Sheep were making their way down the rocky hillside. 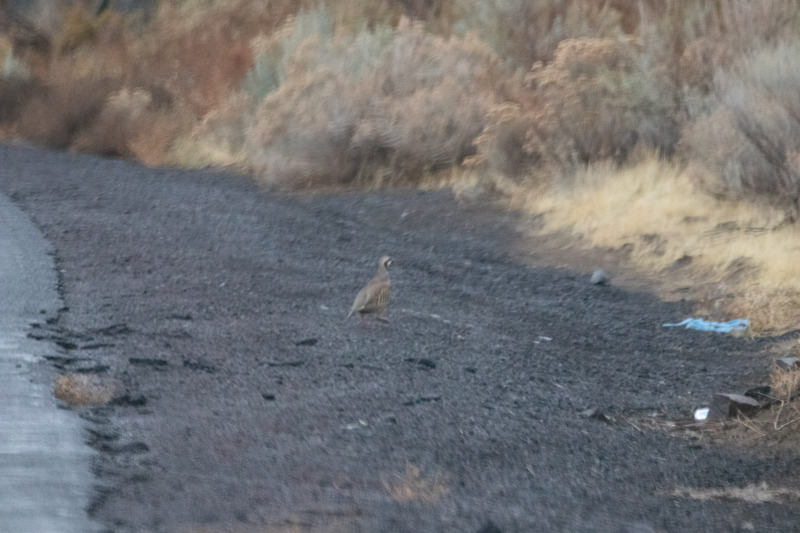 I picked my jaw up off the floor and glanced through the windshield just as a Chukar ran across the road!!! Surprise state year bird #304!!! 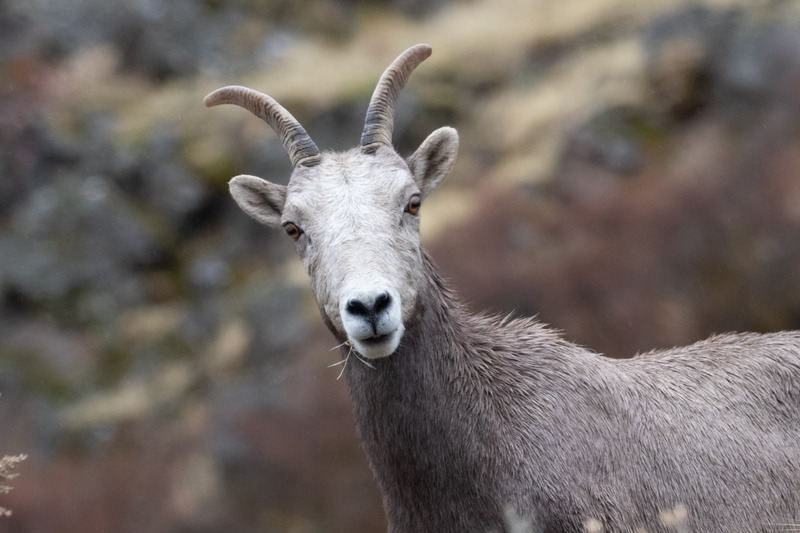 There were three of them that crossed and slowly hopped up the rocks where the sheep had just been. It was a pretty magical moment. Dipping on the Rusty Blackbird was turning out okay after all. 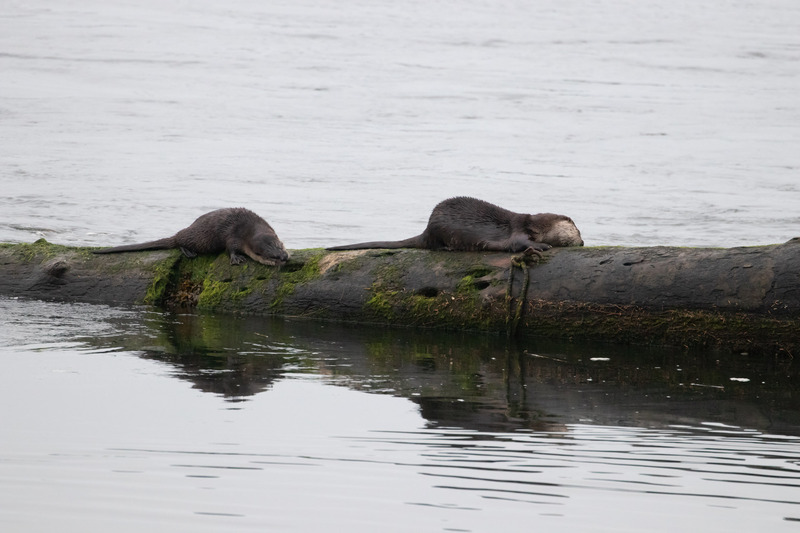 The next day I went to the coast and tried to find a Yellow-billed Loon that was spotted near Nehalem Bay. I spent two days looking but the loon must have moved on. 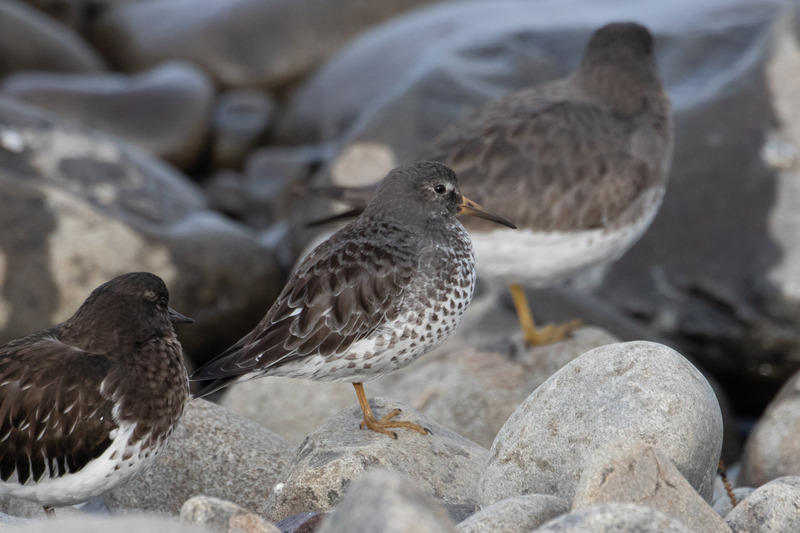 At one point during a break I drove to Seaside Cove to see a Rock Sandpiper! #305! Another afternoon at Nehalem Bay State Park I met James Billstine a local birder and this turned out to be the best luck. 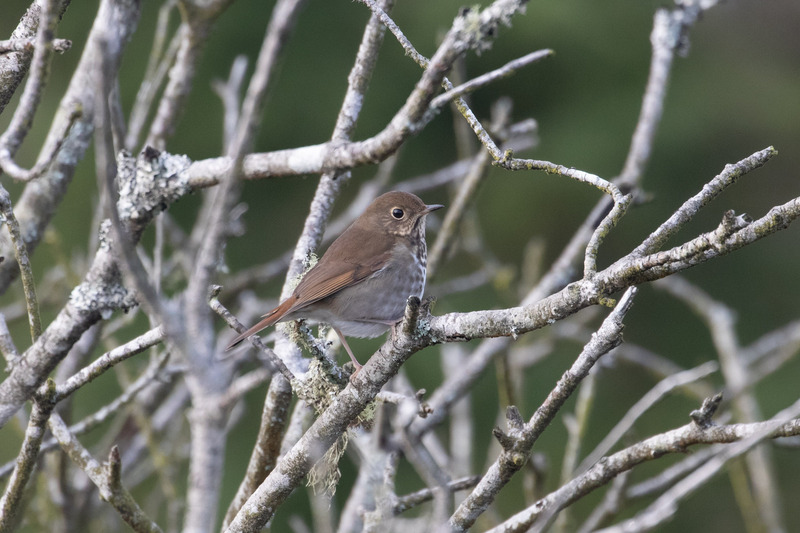 With his help we found Yellow-rumped Warblers, Ruby-crowned Kinglets, a Pacific Wren, Bewick’s Wren, a Fox Sparrow, and he managed to pish up a Hermit Thrush. That never happens. Excellent county birds and so fun to see all at once in one small patch. Another evening I met Courtney Jett from Bend and we dipped on the loon together while watching River Otters scratch themselves on a log. I stayed overnight in Rockaway at the Surfside Resort that was pretty quiet and comfy. In the morning I gave the loon one more chance but still no luck. It’s not often a Yellow-billed Loon visits Oregon so I was bummed to miss out. But such is the risk of chasing birds and I’d met some great people along the way. 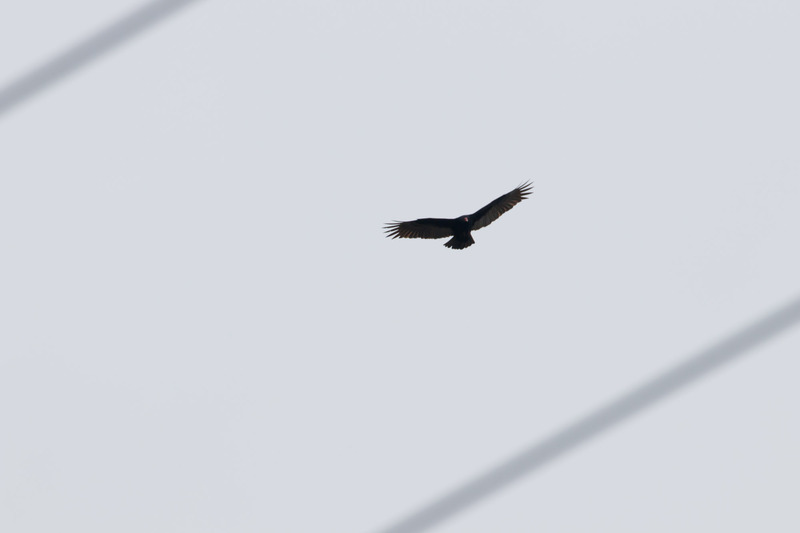 I left the coast and ended up in Corvallis checking out Bald Hill Natural Area looking for Wild Turkeys but instead I found a really late Turkey Vulture. 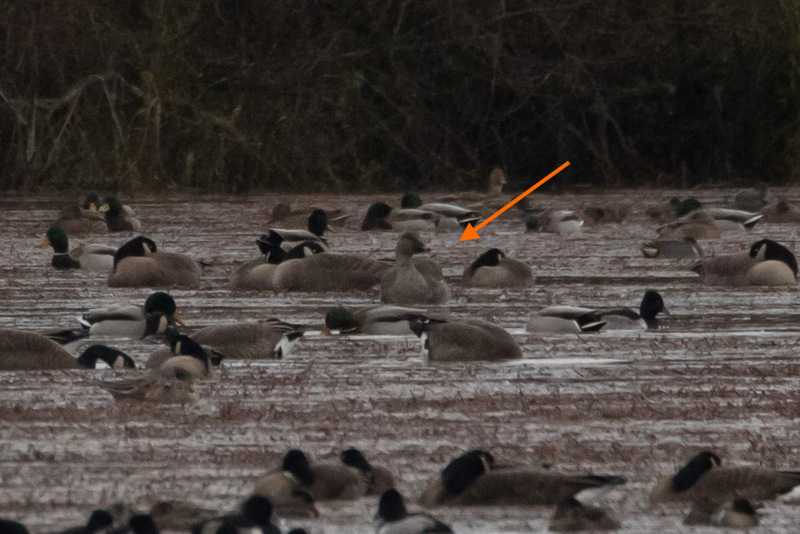 This is when I learned about a rare Tundra Bean-Goose at Finley National Wildlife Refuge 30 minutes away. I ran back to the car and took off. I made it to the site where other birders were standing in front of thousands of geese. But unfortunately, I looked at the wrong goose. This was not my finest birding moment. I was probably right in front of the bean goose but my eyes locked onto a Greater White-fronted. Wrong bill color! It was so confusing and before I had a chance to correct the error a Bald Eagle had already spooked the whole flock. The worst! This is one of those moments I’ll replay in my mind a thousand times over hoping for a different outcome. I have good news though. Five days later I got a second chance with the goose! Thanks to Courtney’s birding stamina and my new friend Lindsay Willrick’s excellent hospitality (I may not have survived gooselessness without them). In the gross cold and rain while taking shelter in the bird blind I picked out the bean goose while scanning the flock in the spotting scope. I may have squealed and jumped up and down like a lunatic. But it’s the goose! We had about 15 minutes enjoying it before it flew off to the south. 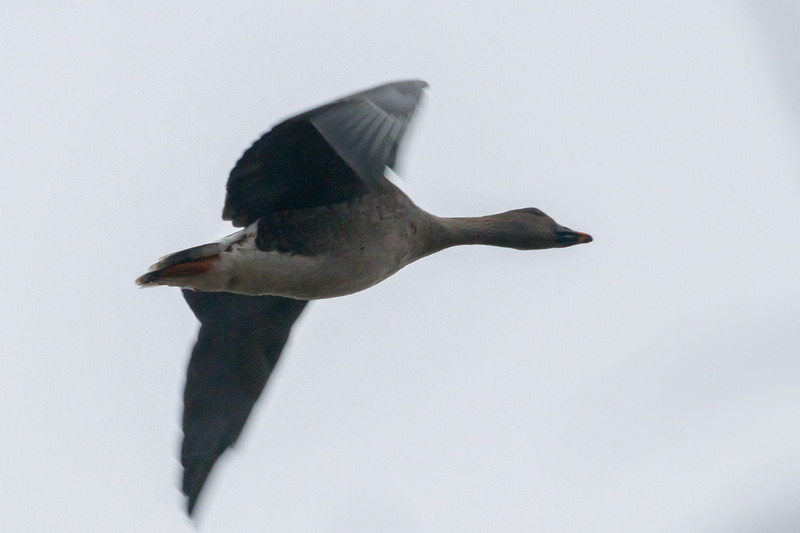 This goose is one of only five eBird records in the United States (there is another from 2015 in Oregon, and a 2013 record by the Salton Sea!). So it was worth some drama to see it. 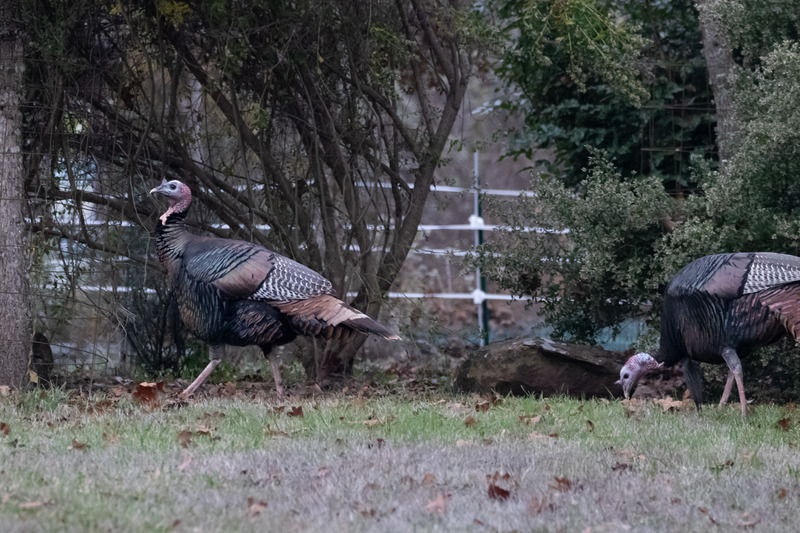 And by the way I got a second chance at Wild Turkeys too! #306! With only a month left this year I’m taking the losses in stride and appreciating what I’m lucky enough to see. It’s a good lesson in letting go. I can put myself in the best place at the best time and I can still miss a bird. And that’s okay. There’s still time to see (and miss) a few more! My unintentional now intentional Oregon big year is going pretty well. Since I returned from vacation I’ve chased a lot of birds. I’ve seen a lot and I’ve missed a lot. But that is the risk of the chase. 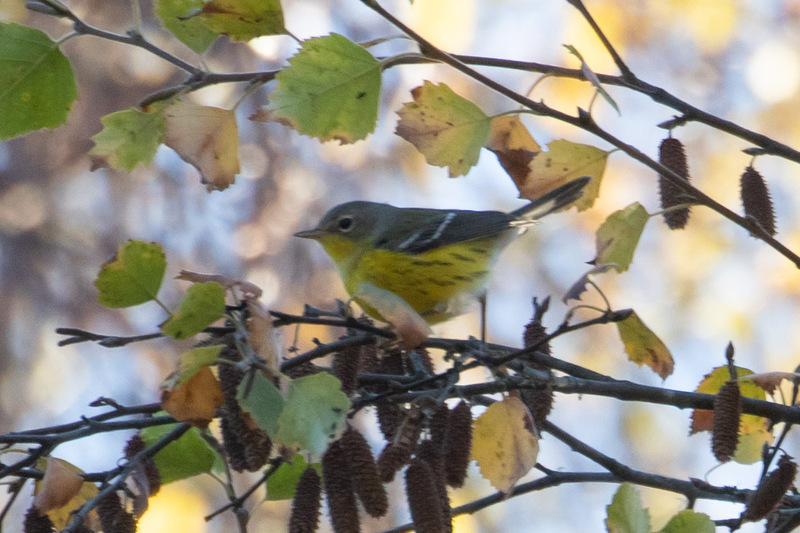 The first bird I hoped to see the day after my plane landed back in PDX was a Magnolia Warbler at Ona Beach in Newport. 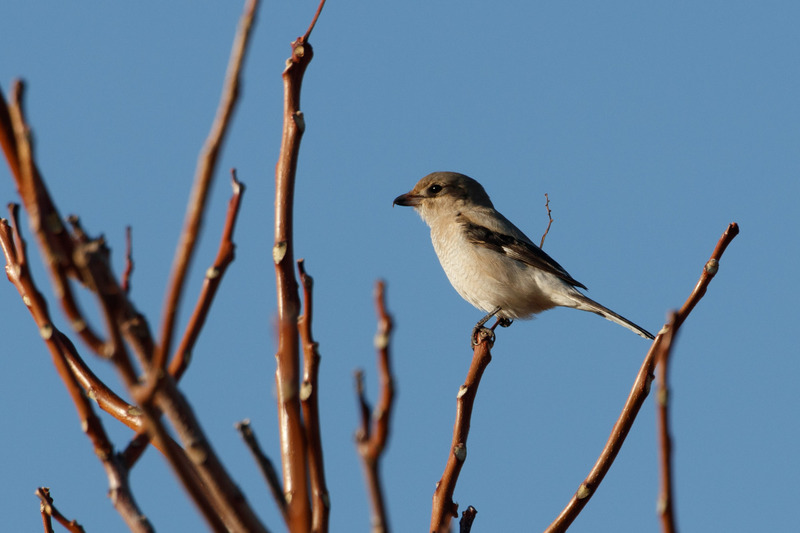 The bird had been seen in a mixed flock frequenting the birch trees next to the parking lot. And after a short search that’s where I saw it too! Magnolia Warbler! State bird 301 life bird 501! Great numbers and a great bird. 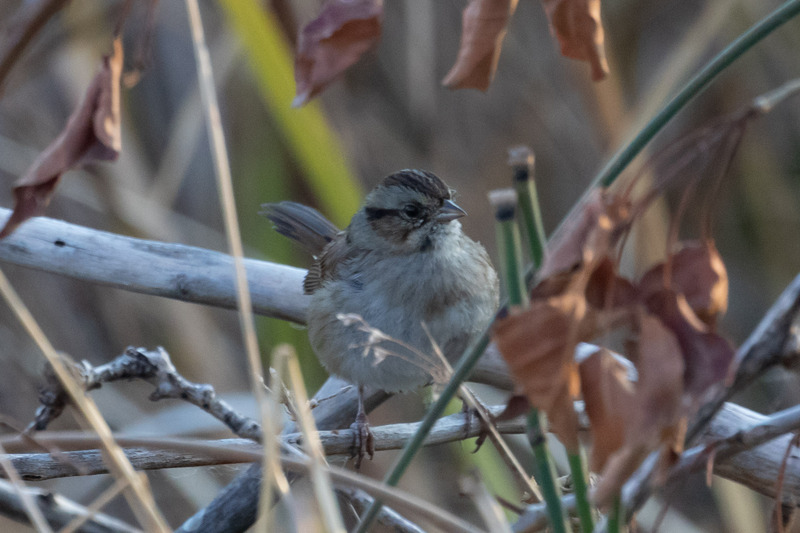 After my five minutes in heaven with the MAWA I took a tip from Sarah and drove north to Tillamook to look for a Swamp Sparrow. 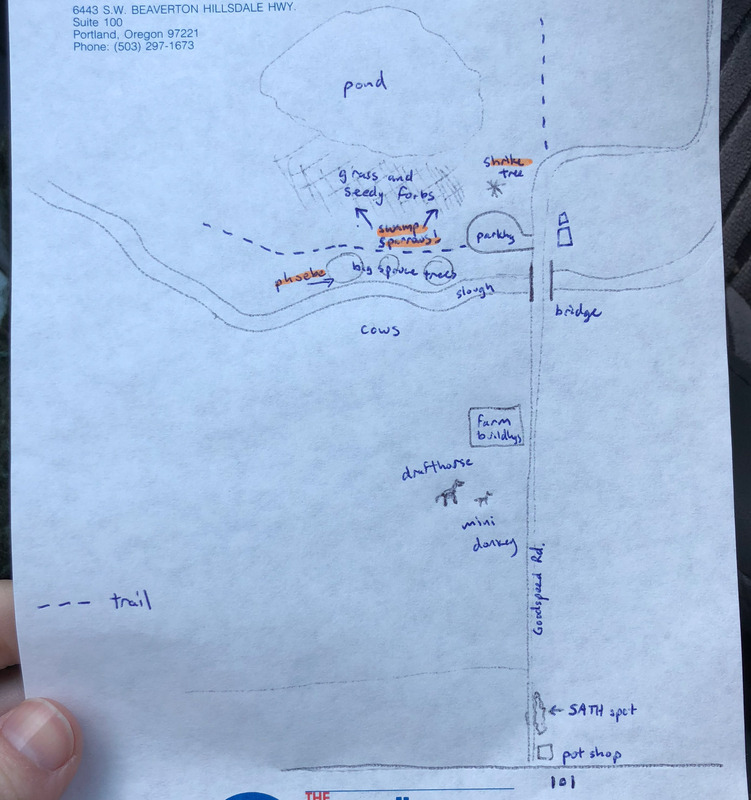 I was in luck because Sarah drew me a legit treasure map. 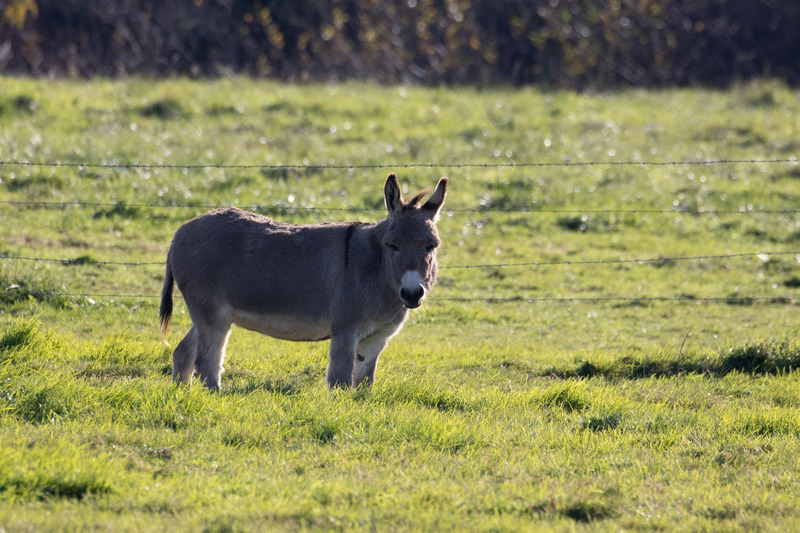 Past the draft horse and the mini donkey. 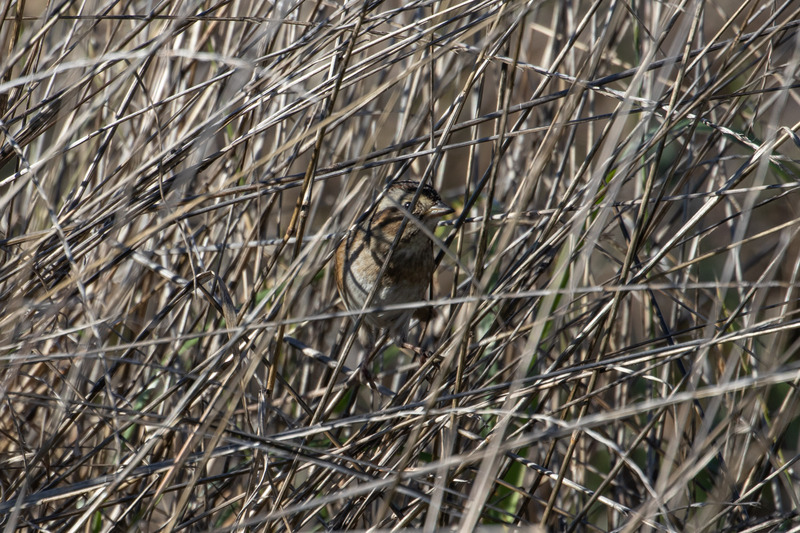 In the marshy field next to the parking area exactly as described on the map I pished up my first Oregon Swamp Sparrow! #302. One of the more secretive and hard to see sparrows. A life bird and a state bird in one day is a good day! 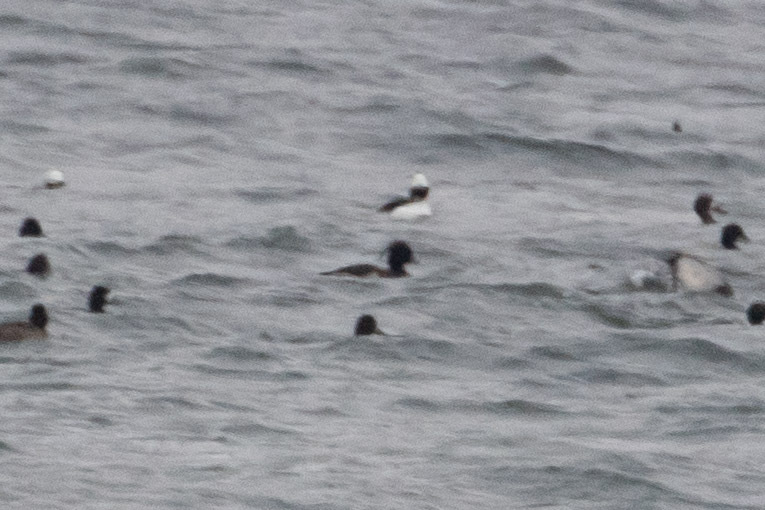 I pushed my luck the following day and drove east to the Hook in Hood River to look for another lifer, a Tufted Duck hanging out in a flock of scaup. As per usual it was freezing cold and windy and occasionally Bald Eagles moved the flock around not making for easy duck spotting conditions. After finding no tufts a few birders gave up and left. And that’s when I saw it! Tufted Duck! #303. In my photos it looks more like the Loch Ness but that is a diagnostic black back and mullet. I texted the other birders and after a few more tries everyone saw it. Whew! 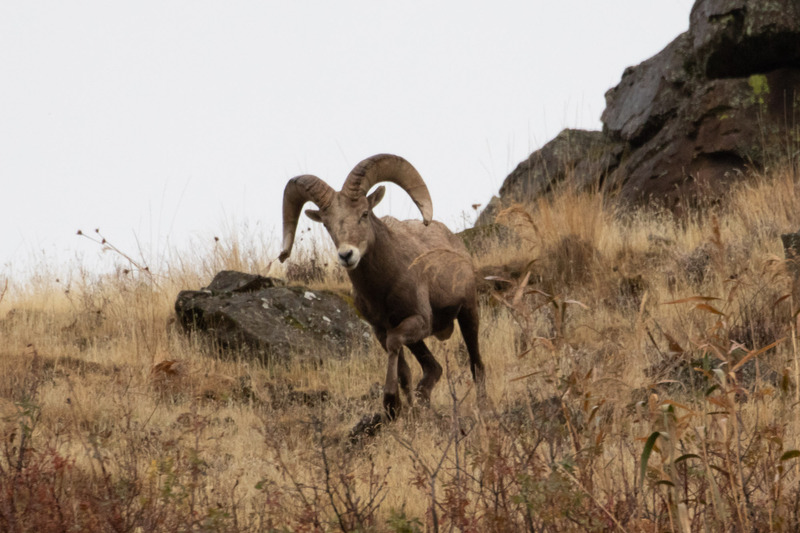 I had so much fun in eastern Oregon I headed out there again the following weekend. It was more leisurely than targeted which made birding more relaxing. I drove to my favorite canyon in the gorge, Philippi Canyon, where I almost always find something good. Indeed. 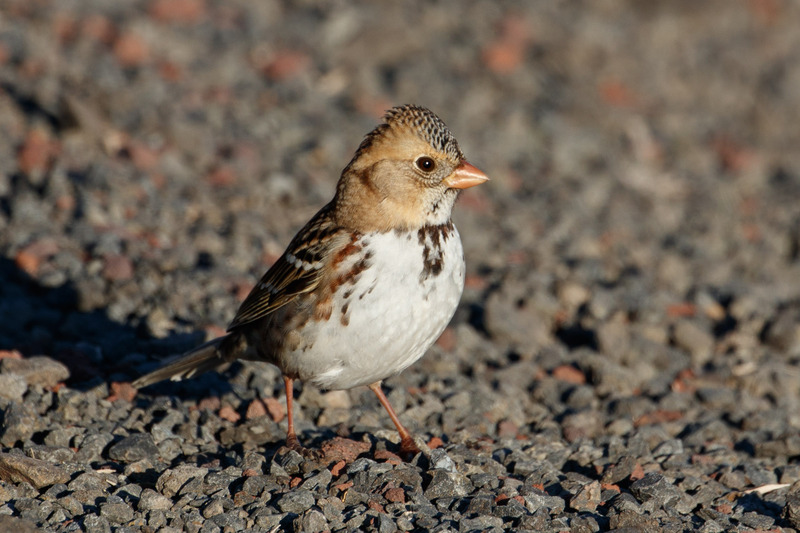 And the best surprise was a Harris’s Sparrow! 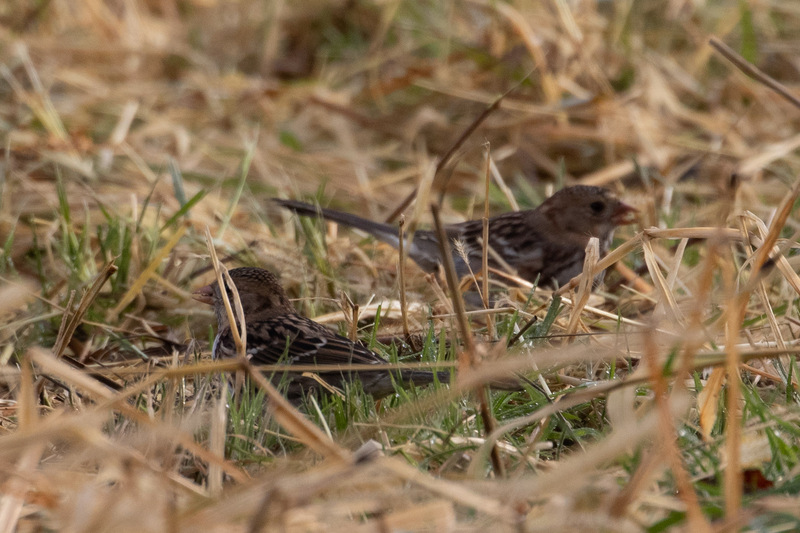 I’ve since been told this is the first verified Gilliam County record of a Harris’s Sparrow which is pretty amazing. 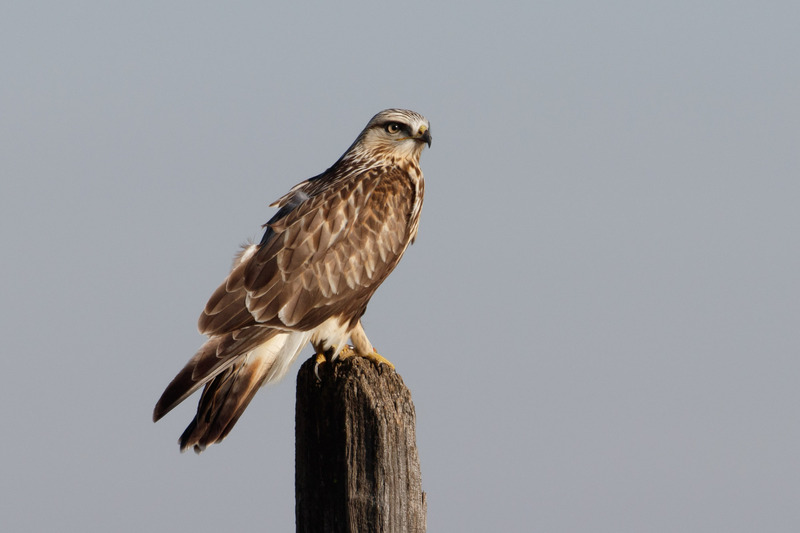 I continued exploring east finding harriers, red-tailed hawks, and at least six Rough-legged Hawks. It never gets old. 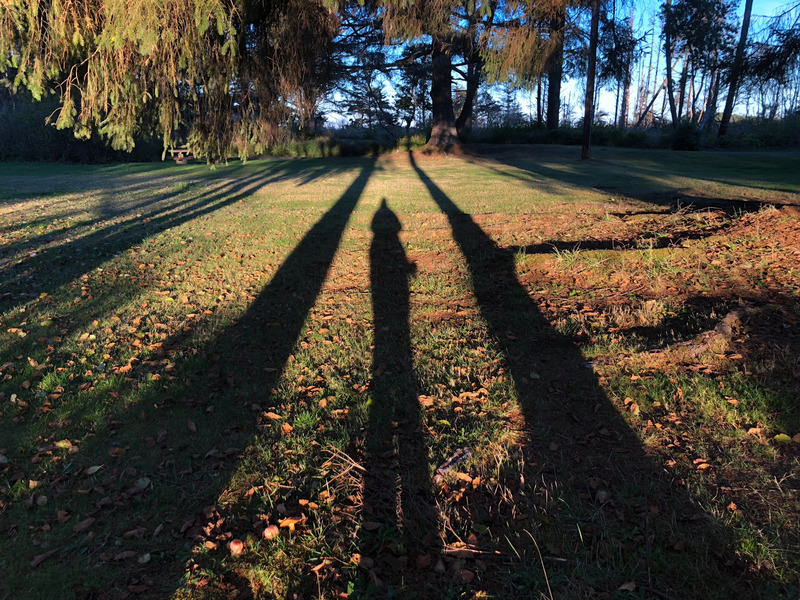 I ended up birding too far from home and it got dark so I spent the night in Umatilla thinking I could visit McNary Wildlife Nature Area early in the morning. 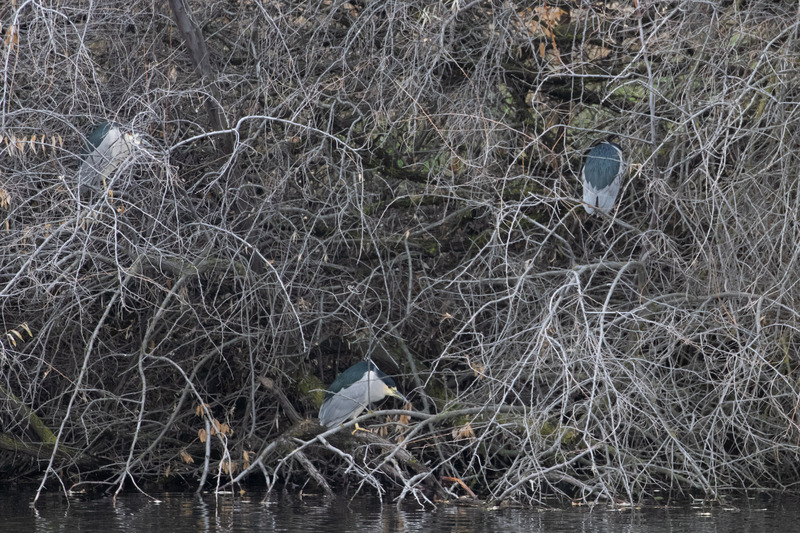 I got up excited to find the Black-crowned Night Herons that roost here. And I found them! But it was so dark and so foggy they were very hard to see. I slowly made my way out looking for something-anything else, a Bohemian Waxwing perhaps? But the fog refused to lift so I birded my way back home instead. 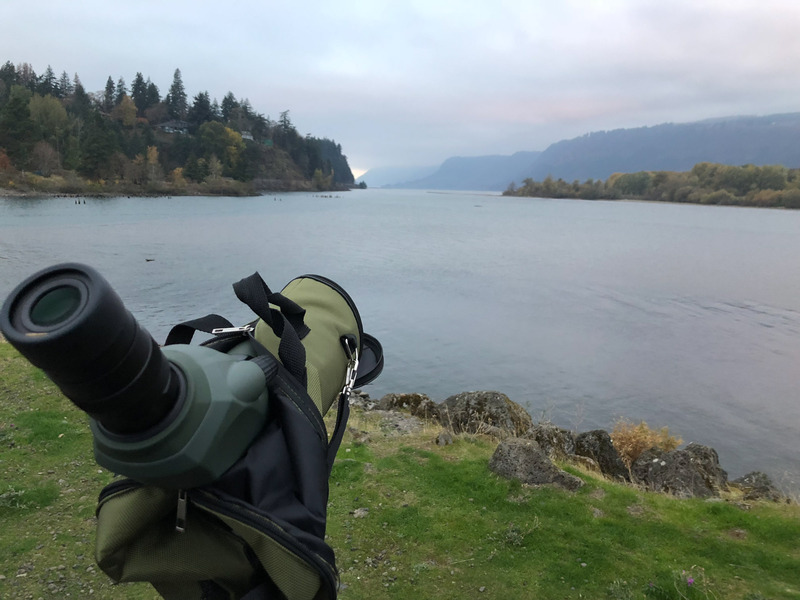 I followed Ken Chamberlain and the OBA crew’s footsteps and checked out some pretty underrated small ponds in the industrial areas along the Columbia River picking up great Wasco County birds: Virginia Rail, Northern Shrike, Pacific Wren, and the best, I refound a Swamp Sparrow at a pond by the Columbia Gorge Discovery Center! Slightly more visible than my first Swamp Sparrow. By then it was getting dark so I had to call it a day. 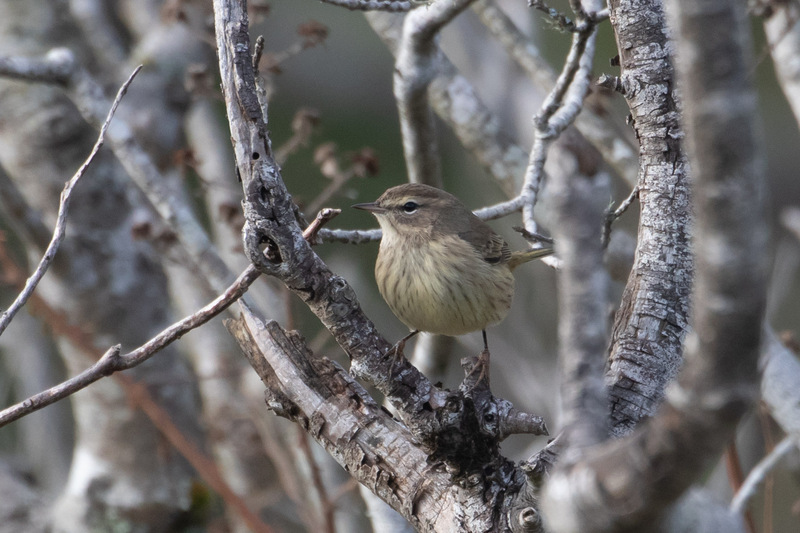 I’m reminded how awesome and challenging winter birding is in Oregon. With the cold, rain, and shorter days it’s important to make the most out of the daylight! Gone birding from dawn till dusk.